Topychkanov was a fellow in the Carnegie Moscow Center’s Nonproliferation Program. Petr Topychkanov is no longer with the Carnegie Endowment. Petr Topychkanov was a fellow at the Carnegie Moscow Center’s Nonproliferation Program. 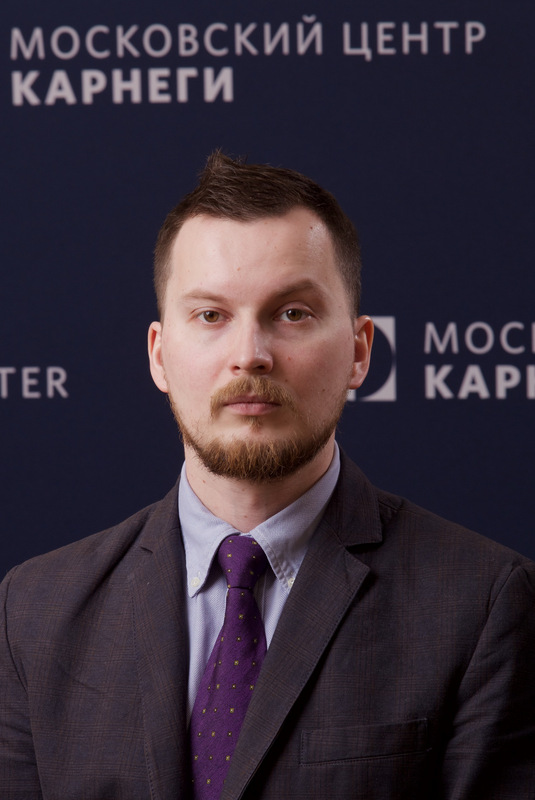 Since 2009, he has also held the position of senior researcher at the Center for International Security at the Institute of World Economy and International Relations of the Russian Academy of Sciences (IMEMO RAN). In 2014, he joined the Center’s Information Security Problems Group. Petr Topychkanov has been an expert at the Russian International Affairs Council (RIAC) since 2014, a participant of the Program on Strategic Stability Evaluation at the Georgia Institute of Technology (Atlanta, Georgia) since 2009, and an associate of the South and Central Asia Project at the York Centre for Asian Research (Toronto, Canada) since 2015. He has been a member of the editorial board of the Nuclear Club journal (Moscow) since 2009. He has taught courses on modern history and the religion and society of South Asian countries at Moscow State University’s Institute of Asian and African Studies (2006–2009), the Institute of Practical Oriental Studies (2005–2011), St. Tikhon’s Orthodox University of Humanities (2006–2011), and Stroganov Moscow State University of Arts and Industry (2009–2013). Petr Topychkanov earned his doctorate in history from the Institute of Asian and African Studies at Moscow State University in 2009. In 2007–2008, he was awarded the Presidential Scholarship and in 2010–2011 he was a Stanton Nuclear Security Fellow. Petr Topychkanov is the author of a number of papers including “Nuclear Weapons and Strategic Security in South Asia” (2011), “India’s Prospects in the Area of Ballistic Missile Defense: A Regional Security Perspective” (2012), “Russia and Pakistan: Shared Challenges and Common Opportunities” with Vladimir Moskalenko (2014), and the co-author of several collective works including “Nuclear Proliferation: New Technologies, Weapons, Treaties” (2009), “Outer Space: Weapons, Diplomacy, and Security” (2010), “World of Khaki: Armed Forces in the System of State Power” (2011), “Nuclear Reset: Arms Reduction and Nonproliferation” (2012), “Prospects of Engaging India and Pakistan in Nuclear Arms Limitations” (2012), “Missile Defense: Confrontation and Cooperation” (2013), “Alarming Contours of the Future: Russia and the World in 2020” (2015), “The New Military-Industrial Powers” (2016), and other scientific publications. Petr Topychkanov’s articles are frequently published in the press.